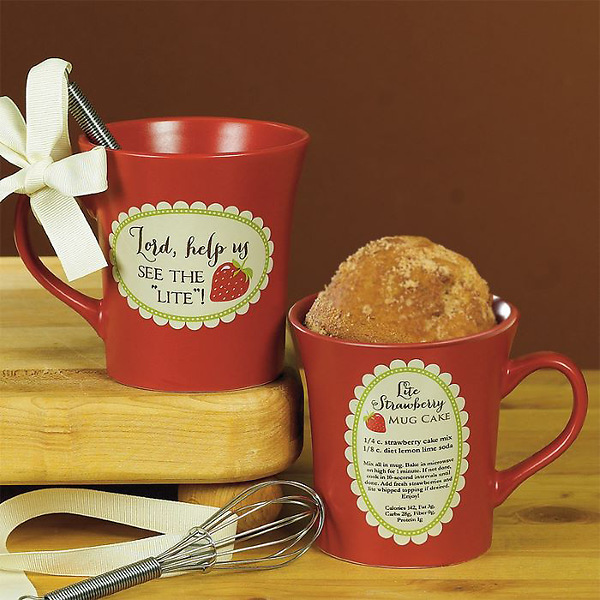 Part of the “My Cup Runneth Over” collection, this ceramic mug has a recipe on one side for making a personal-sized “Lite Strawberry Cake” in the microwave. The other side displays an inspirational sentiment with a touch of whimsy. Includes wire whisk for mixing. 8 oz.